Standing before a class of teenage heritage speakers â€” mostly second-generation Chinese American kids chatting with friends or playing with Game Boys hidden in their laps â€” Linda Zhang is unperturbed. She calls the students to attention by delving immediately into the dayâ€™s lesson and sketching on the chalkboard ancient Chinese ideographs , characters no one in the class has ever seen before. The talk gradually dies, and the students sit transfixed. When Zhang speaks, it is clear sheâ€™s unlike the other teachers at Ray Chinese School, who are mostly unlicensed amateurs. Straight-backed, eyes engaging individual students in turn, she orates across the room with the confidence of a professional lecturer. She explains that the character for â€œitâ€ is one of the oldest words in the Chinese vocabulary, one that has developed over countless transformations. She asks the class what the character looks like, gesturing at the chalk board. I look at the symbol sheâ€™s drawn â€” heavy and rounded on top, wispy on the bottom â€” and envision an upright cobra. The power of her presence at the head of a classroom is incredibly bizarre to me. Iâ€™m used to seeing her bustling around at home in pajamas with curlers in her hair, screaming at me to clean my room or do my homework. I realize then that Zhang my mother is a completely different person from Zhang the professional, the public speaker. Though I catch glimpses of her argumentative skills when we fight at home, she transforms completely before an audience. Sitting as a member of the class, I consider what a shame it was that I had never before thought of my mother as an intellectual woman in her own right. Teaching on subjects of her expertise, she looks perfectly at ease in her element. And here is a woman who needs me to write her emails for her and translate TV shows, I thought at the time. Prior to that classroom experience, I had known my mother only as a mother. Afterward, she became my teacher and â€” as I would gradually come to think of her â€” my peer. 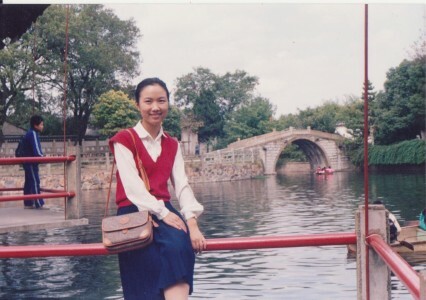 Zhang, who taught the highest level class at Ray Chinese School, had been a high school language arts teacher in China for many years prior to following her husband to the United States. Able to read classical literature written before the vernacular revolution, she had a degree in ancient Chinese etymology. Her knowledge of the development of the Chinese language throughout centuries was esoteric and uncannily extensive. She was the author of several textbook series. 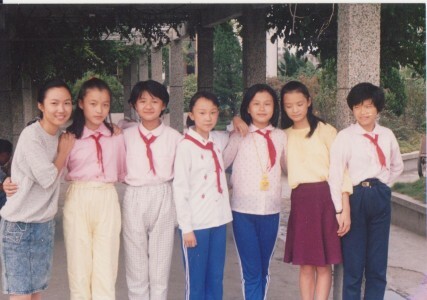 It was evident Zhang was overqualified for Ray Chinese School, a hodge-podge enterprise founded by concerned parents of culturally apathetic ABCs (American-born Chinese). After all, it was widely understood among the student population that the majority of students showed up every week only because their parents forced them to. No one was particularly keen on spending entire Saturdays cooped up in school. Yet when Zhang lectured, she commanded attention not as the result of the volume of her voice or an authoritarian attitude, but simply by her ability to elicit interest. My mother moved to the United States with my father in hopes of a better life for my family. It hadnâ€™t truly occurred to me before that moment just how much she sacrificed.